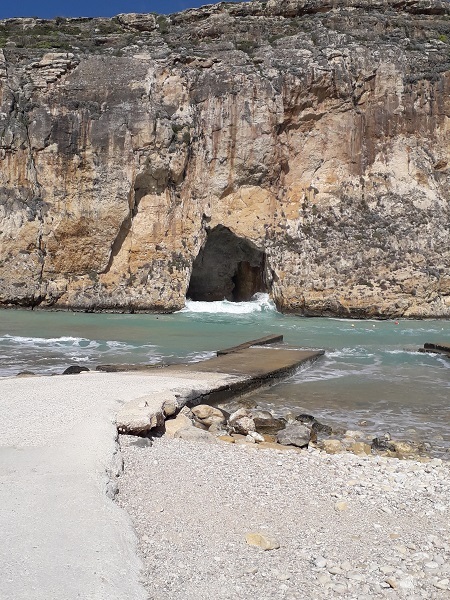 Melanie Cope, Senior Travel Consultant at our Dorchester travel agents, sees Malta in a different light after her recent visit. She tells us why this beautiful destination is more than just somewhere to relax or enjoy some winter sun. We flew in economy both ways. Both airlines offer a similar service, similar legroom and a chargeable inflight service. British Airways is a card-only payment service where as Air Malta still accept cash. Hand luggage on Air Malta is restricted to 10kg but that certainly did not deter some passengers. I preferred the British Airways flight, as the aircraft seemed newer and provide an adjustable headrest. The Phoenicia Hotel is in an ideal location just outside the city walls of Valletta. It is a beautiful building with grand public areas and has been recently refurbished. I stayed in an Executive Balcony En-suite room with a view over the city. The room was light and spacious, providing tea and coffee making facilities,bathrobes, slippers, a safe, mini-bar, an iron and an ironing board. The hotel is currently expanding to add a gym and spa. They do have an outdoor infinity pool within their seven hectares of gardens, located at least a five-minute walk through the gardens. However, it does have lovely views of the harbour. We were there during carnival week and it was amazing to see the wonderful costumes and floats. However, due to the location of the hotel, it was noisy until late in the evening – something to bear in mind. All meals were included, such as dinner in the Phoenicia on the first night and the Xhara Palace (pronounced Shara) in Mdina on the second night. Lunch was served in local restaurants in Valletta, Victoria and Marsaxlokk. 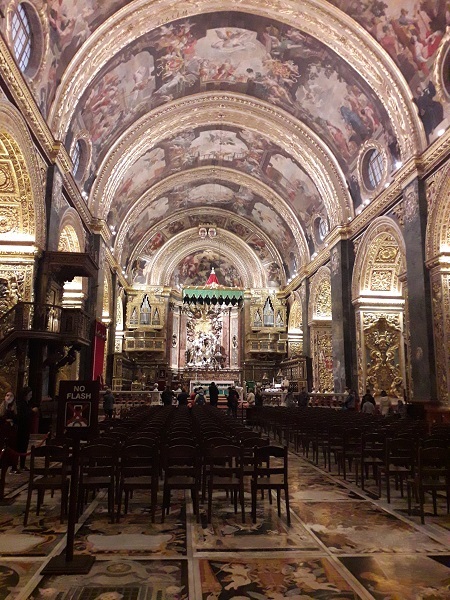 We had a local guide who escorted us each day, taking us on a walking tour of Valletta to visit St.John's Co Cathedral and the Upper Barrakka Gardens on the first day. 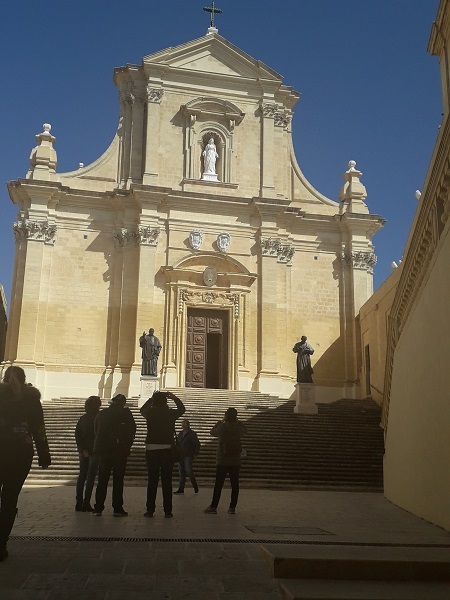 We also visited Gozo, taking in the Ggantija Neolithic Temples, the inland sea and the island’s capital Victoria (also known as Rabat). 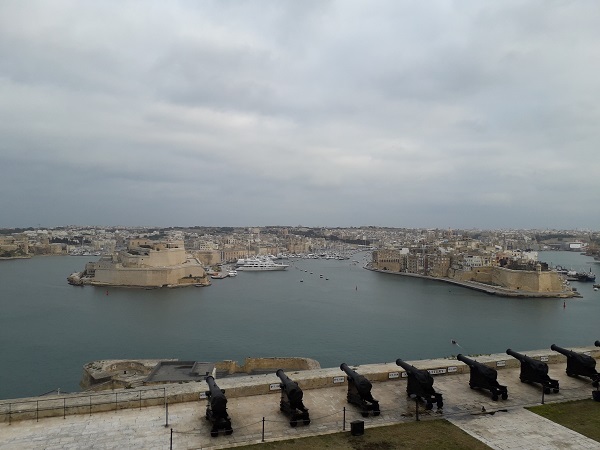 On our final day, we were taken on a guided walking tour of the Three Cities, mainly concentrating on Il-Birgu. Finally, we had the opportunity to wander through the street market at Marsalokk. Although I loved Gozo, I think my favourite part was walking around Il-Birgu. We stopped at a small café in the square for a coffee and watched the world go by. It was aSunday morning, so it was relatively quiet and very enjoyable. I would definitely recommend Malta. Generally seen as somewhere people head to for some winter sun,it also makes a great destination for a city break. A few nights in Valletta are perfect for exploring its wonderful buildings and learning about its amazing history. It is also a great place for art lovers – they are proud to have an original Caravaggio within St John's Co Cathedral. If you would like to know more about our holidays to Malta, the team at your local Fred. Olsen Travel Agents will be happy to help. Drop by your local branch today.